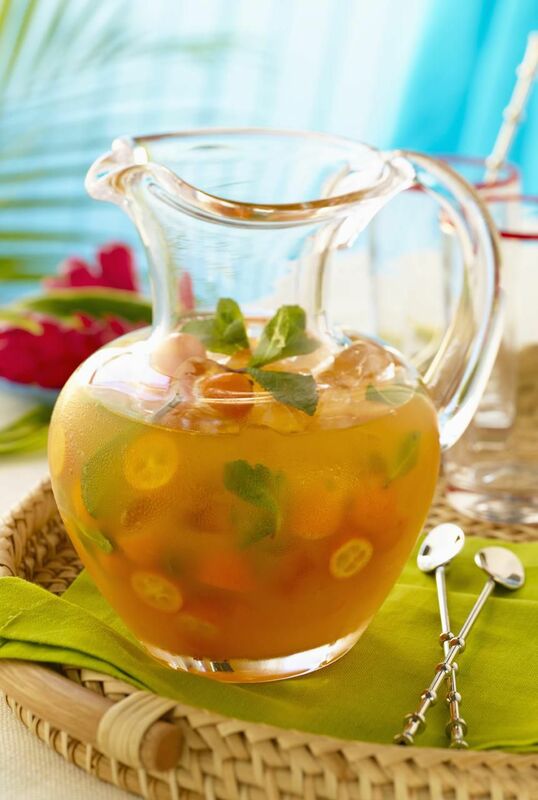 Kiwis and limes make this a knock-out Sangria recipe with origins from the islands Down Under. Pour wine in the pitcher and squeeze the juice wedges from the lemon or limes into the wine. Toss in the sliced kiwi, tangerine, and lemon and add sugar. Chill overnight. Add ginger ale or club soda just before serving. If you'd like to serve right away, use chilled red wine and serve over lots of ice.